The Ballymurphy Inquest has heard that ballistics experts cannot be sure which kind of bullet struck one of the victims or where the shooter was located. There has been evidence suggesting several locations for the person who shot John McKerr, 49. Mr McKerr died on Westrock Drive in August 1971. He was one of 10 people who were shot and killed in west Belfast over a three-day period. Some of the evidence has suggested the shot that killed Mr McKerr may have been aimed and fired by a paratrooper standing on the junction of Ballymurphy Road and Westrock Drive. It has also been considered whether the shot could have been fired from a different direction, from a nearby area known as Corry’s Timber Yard. The court has heard that local people considered the yard to be an observation post or sniper position used by the Army. 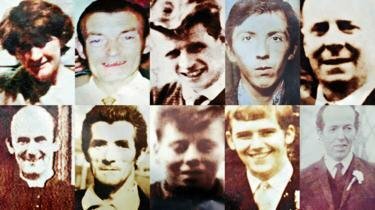 Ballymurphy: Who were the victims? Because of the oblique angle at which Mr McKerr’s head was struck, three ballistics experts have been unable to conclude if the shot was from a low or high-velocity weapon. A soldier’s SLR rifle would fire a high-velocity bullet, and a low-velocity bullet might come from a pistol or sub-machine gun. All three of the ballistics experts think both are possible. However, the ballistics expert for the next of kin considers a high-velocity bullet more likely to have caused Mr McKerr’s injuries. The court heard that other types of weapon than those used by soldiers could fire such a bullet. The court also heard evidence of “numerous” locations from which a stray bullet could conceivably have come. It could also have been a ricochet shot. Earlier, the inquest heard how the son of one of the first victims killed said he later saw another shooting. 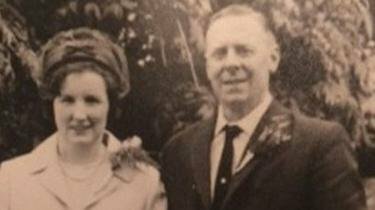 Paul Connolly’s mother Joan was the only woman killed over the three days of shootings in August 1971. Mr Connolly has been unable to give evidence at the inquest in person due to ill health, but has provided statements to the Coroner’s investigator. Mr Connolly remembered watching a soldier from his home on Ballymurphy Road. He recalled looking out as his father set off to go and identify the body of his wife, Joan Connolly. Paul Connolly said that, as he watched, the soldier fired a single shot in the direction of Corpus Christi Church, outside which John McKerr was walking. Mr Connolly’s statements explain that he walked far enough from his home to see Mr McKerr’s body, without approaching it. The inquest into John McKerr’s death has now finished hearing evidence. Two of the 10 deaths over three days in August 1971 have been examined in detail so far. The Ballymurphy Inquest will resume public hearings in the new year.